I have to admit, the reason I was so drawn to this book and wanted to read it was because of the cover. I mean, just look at that gorgeousness! Then, I saw that it was about a girl who babysits these little boys and has to take on a very large role in their lives when their mother dies. It definitely sounded like an emotional read and I was excited to dive in. Charlotte is a gifted musician who went to school for composing, but after being cheated out of a career, Charlotte started to babysit for two adorable little boys. Becoming a major part of their lives, Charlotte has accepted her life as a baby-sitter. But when the boys' mother dies, their family starts to crumble and Charlotte becomes an even important figure for the boys and just might be the key to holding the family together. Starting off, I did enjoy Charlotte's character and her chemistry with Matty and Georgie, the two little boys she takes care of. Since I knew that the mother died from the summary, though, I was just waiting for the mom to finally die and I was not a fan of the waiting and waiting for the bomb to drop. This book is told out of order and goes back and forth between before the death, after the death, and years in the past in order to slowly give details of the whole story. I'm still not sure if I liked the timeline of this book, but it did make the story more unique and interesting. The one thing that really turned me off was the boys' father's and uncle's relationship to each other and with Charlotte. I don't know, the progression of the relationship between Charlotte and the father and Charlotte and the uncle (not necessarily romantic) was confusing with the pacing and I wanted more information at some parts that left me more confused than anything else. And as a romance lover, the relationships in this book left me feeling, as I said, confused and not completely satisfied. 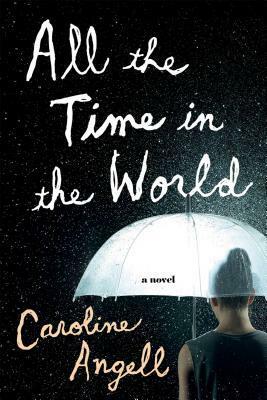 While the author did explore what it means for a family to lose and grieve for someone that was so important to the family's dynamic, the pacing was a bit weird and I did not like how the relationships played out once the mother actually did die in the book. This wasn't a completely unpleasant read, but I was expecting more from the story.